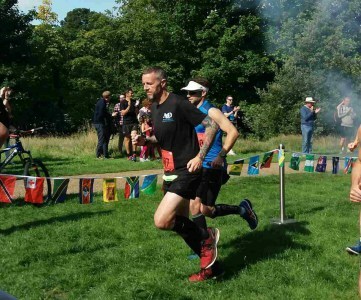 Ashford & District’s Rik Holden took on the flat, scenic Thames Meander trail marathon on Saturday. As the race titles suggests, this marathon meanders along the Thames path, starting and finishing in Kingston-upon-Thames. Holden completed the course in 3hrs:41m:57s. The summer version of the Brett Owler Half Marathon took place on Sunday. The multi-terrain race which starts and finishes at the Julie Rose Stadium was ran by A&D’s Filiz Salih, who finished in 2hrs:02m:25s and Keith Lynn, who ran 2hrs:11m:46s. Ashford & District RRC were well represented at the Mount Ephraim 10k on Sunday with 6 club members taking part. Chris Boyce was 1st home for the club in 44m:43s (19th), followed by Adrian Moody in 46m:33s (29th). Anthony Brown was next up in 48m:26s (45th) and Rhian Shrimplin in 50m:10s. Hugh Scarlin crossed the line in 1hr:08m:13s with Sarah Taylor in 1hr:11m:47s. This week’s parkrun was organised by Ashford & District RRC with the club supplying pacemakers for various times from sub 19 minutes up to and including 33 minutes. The club also provided the marshals and plenty of cake. The event produced 61 personal best times from 259 runners. Dan Green finished in 19m:44s in 8th position for the club with Chris Boyce and Pauls Moses following in 20m:59s (18th) and 21m:02s (19th) respectively. Paul Brasington and Jon Wells were up next in 22m:05s (30th) and 22m:06s (31st). Mark Attenborough crossed the line in 22m:59s, Terry Sellen in 23m:10s and Adrian Beresford, completing his 1st parkrun in 23m:28s. 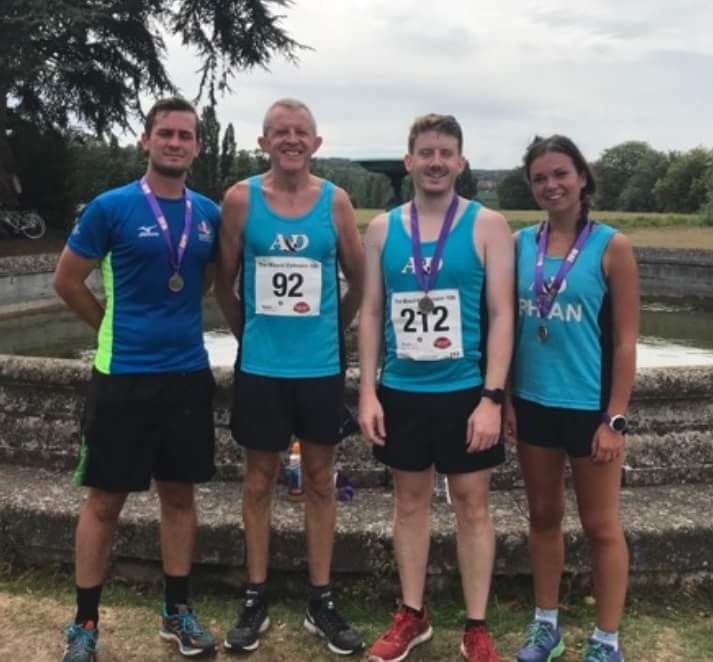 Will Whittington finished in 23m:56s, Dean Bracken in 24m:08s, Keith Haynes 24m:47s, Shaun Snowwolf 25m:11s, Keith Lynn 26m:24s, Rob Barton 28m:11s, Don Dewar 29m:04s, Aaron Howewood 31m:00s, Becky Hodgson 31m:40s, Sarah Homewood 33m:13s, Sarah Taylor 35m:37s and Rachel Jenkins in 55m:11s. Meanwhile 4 A&D members travelled to Weymouth parkrun. Christine Costiff finished in 22m:10s, Gill O’Connor in 22m:19s, Nigel Costiff 30m:47s and Steve O’Loughlin in 34m:47s.